The Connacht Eagles management team have named their squad for Saturday’s (15th September) Celtic Cup Round 2 meeting with Dragons in Ystrad Mynach. Robin Copeland has been named at number 8 as he continues his recovery from injury – he’s joined by Cillian Gallagher and Cian Huxford in the back row. Peter Claffey and Joe Maksymiw renew their second-row partnership, while the front row is also unchanged with Tom McCartney captaining the team alongside props Matthew Burke and Conor Carey. 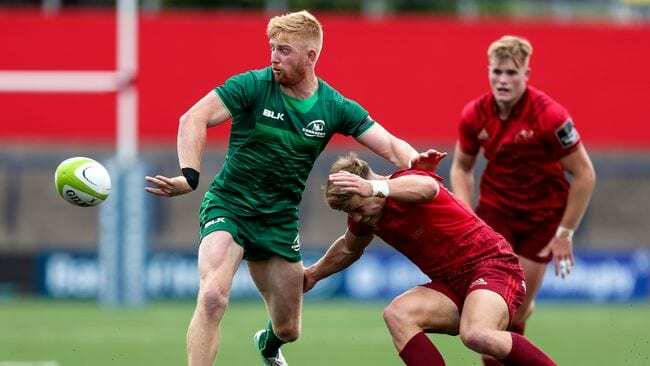 Conor Fitzgerald is retained at out-half with Conor McKeon named at scrum-half. There’s one other change from the side that lost to Munster last week with Sean O’Brien coming in at centre alongside Kieran Joyce. Wingers Colm De Buitlear and Rory Scholes along with full-back Darragh Leader make up the back three. Darragh Leader; Rory Scholes, Sean O’Brien, Kieran Joyce, Colm de Buitléar; Conor Fitzgerald, Conor McKeon; Matthew Burke, Tom McCartney ©, Conor Carey; Peter Claffey, Joe Maksymiw; Cillian Gallagher, Cian Huxford, Robin Copeland. Replacements: Jonny Murphy, Jordan Duggan, Conor Kenny, Cormac Daly, Neal Moylett, James Mitchell, Conor Dean, Conor Hayes. EAGLES NEWS 🦅 | The Connacht Eagles squad to face Dragons on Saturday in the Celtic Cup has been named. The inclusion of Robin Copeland is one of three changes from the side that lost to Munster last time out.